Bologna, Italy – Aeris chief scientist, Dr. Paul Bieringer, along with coauthors Dr. Aaron Pina (Aeris), Dr. Michael Sohn (Lawrence Berkeley National Laboratory), Dr. Harmen Jonker (Whiffle Ltd), Mr. George Bieberbach (Aeris), and Dr. David Lorenzetti (Lawrence Berkeley National Laboratory) presented new research on Large Eddy Simulation (LES) based Atmospheric Transport and Dispersion (AT&D) Modeling and Simulation (M&S) capabilities at the 18th International Conference on Harmonisation within Atmospheric Dispersion Modelling for Regulatory Purposes. The presentation, entitled LARGE EDDY SIMULATION (LES) BASED SYSTEM FOR PRODUCING COUPLED URBAN AND INDOOR AIRBORNE CONTAMINANT TRANSPORT AND DISPERSION SOLUTIONS, described the development and validation of a new Graphics Processing Unit (GPU) optimizied LES based dispersion model capability. This new capability, referred to as the Joint Outdoor-indoor Urban LES (JOULES) system, is a physics-based quantitative modeling system that is being developed to provide high-fidelity simulations of urban and interior pollutant concentrations for use in the testing and evaluation of operational urban emergency response modeling tools. 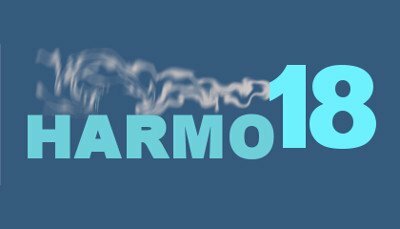 The Harmonization conference series started in 1991 (www.harmo.org) and is a natural forum for discussing modelling issues related to the European Union air quality directives. The Harmonisation conferences provide the ground where model users and decision-makers can bring their requirements to the attention of scientists and search together for better regulatory tools and indicators for the diverse impacts of air quality.